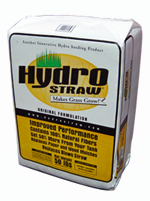 HydroStraw hydro seeding mulch is an innovative new mulch product made right here in the USA. Our specially formulated composition of annually renewable natural fibers, tackifier, and other additives provides a new alternative to the old conventional wood mulch, paper mulch, and cellulose mulches of the past. 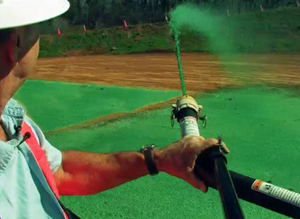 You’ll now experience more uniform coverage, quicker and much easier loading procedures, and a product that requires less water to apply making you more efficient. 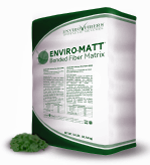 Central Fiber®'s bonded fiber matrix product is made from non-toxic, biodegradable, premium fiber materials. It's a one-bag product - no additional tackifiers or additives needed - that performs as an erosion control material and germination catalyst for slope re-vegetation. BFM anchors itself to the soil surface and cures to a flexible crust, providing "mat-type" stability on the steepest of slopes. It lets seeds germinate quickly, even in arid climates. East Coast Erosion Control is dedicated to manufacturing quality products at fair-market prices while maintaining a strong commitment to satisfying the needs of its customers, employees and shareholders. East Coast Erosion Control's commitment to quality and service originates from our people and their values in working together as a team. 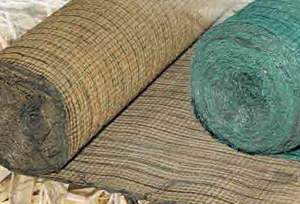 These values have helped East Coast Erosion Control to become one of the leading and most respected erosion blanket manufacturers in the industry. We encourage you to further explore the type of values that drives East Coast Erosion Control and its people to be a step above the rest. No matter what kind of erosion control project you're facing, you'll find the perfect mulch for the job in Central Fiber®'s complete line of hydroseeding products. 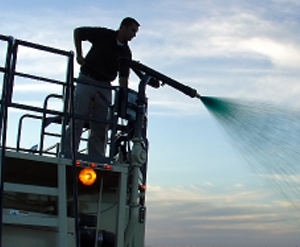 What's more, our complete lines of additives - from Liquid Lime Plus to concentrated dye - were developed to help you make the most of each project. From wood to paper-mulch fiber, or a blend of the two, Central Fiber® provides superior moisture-retention to accelerate the growth process — while keeping erosion to a minimum. Central Fiber® offers two distinct and separate brands of hydraulically applied mulches each offering superb coverage and quality. To help you make the most of each project Central Fiber® also has developed a complete range of HydroBoost® soil amendments. With over 20 varieties of products for erosion and sediment control, East Coast Erosion Control can provide a solution to any erosion problem. From accelerated products which are designed for rapid degrading to assist in residential or golf course applications, to over 5 varieties of turf reinforcement mats for permanent solutions, feel assured ECEC has you covered. Our commitment to high quality and customer satisfaction has established a new standard for the rolled erosion control blanket market. East Coast Erosion Control has multiple manufacturing facilities to expedite the shipping process and minimize costs.